This cute little mouse is wearing eyeglasses that move up or down on its nose. It's perfect for a librarian, a mouse collector, or someone who just loves to read. It has amber rhinestones for eyes and measures about 1 by 3/4 inch. It is metal, gold in color, and has a brushed look. It is signed on the back of an ear with "Avon". As for age, I do not know because I obtained it at an estate sale. If I had to guess I'd say it probably dates to the 1970s. 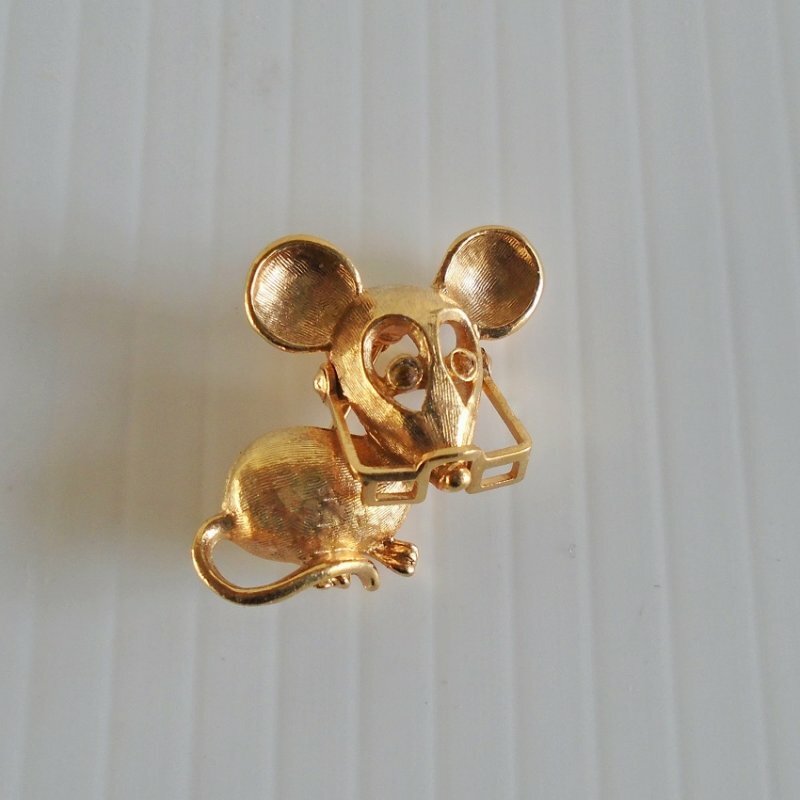 Lapel pin, little goldtone mouse wearing movable eyeglasses. One inch, marked Avon. Probably 1970s.